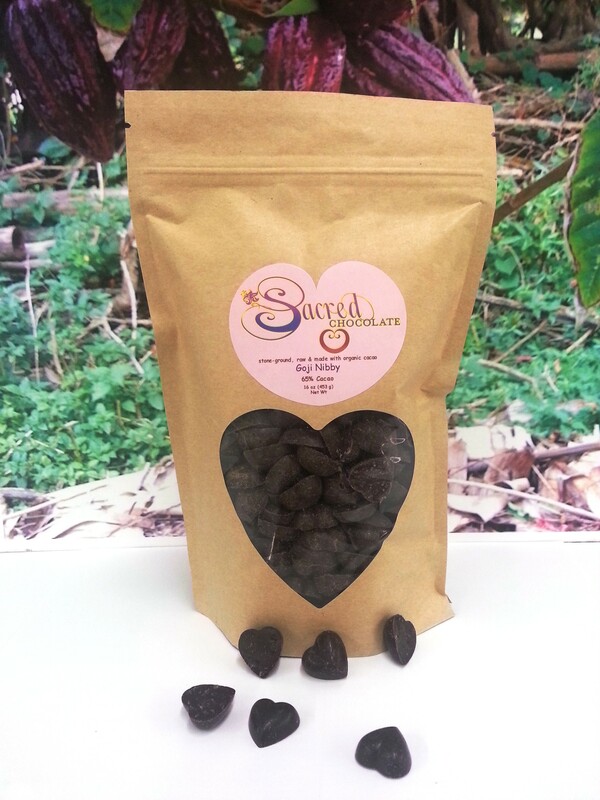 Sacred Chocolate's Organic Goji Nibby raw chocolate MINI HEARTS include whole cacao nibs, goji berries and a sprinkling of Utah salt on top. It is crunchy, chewy and a little salty! 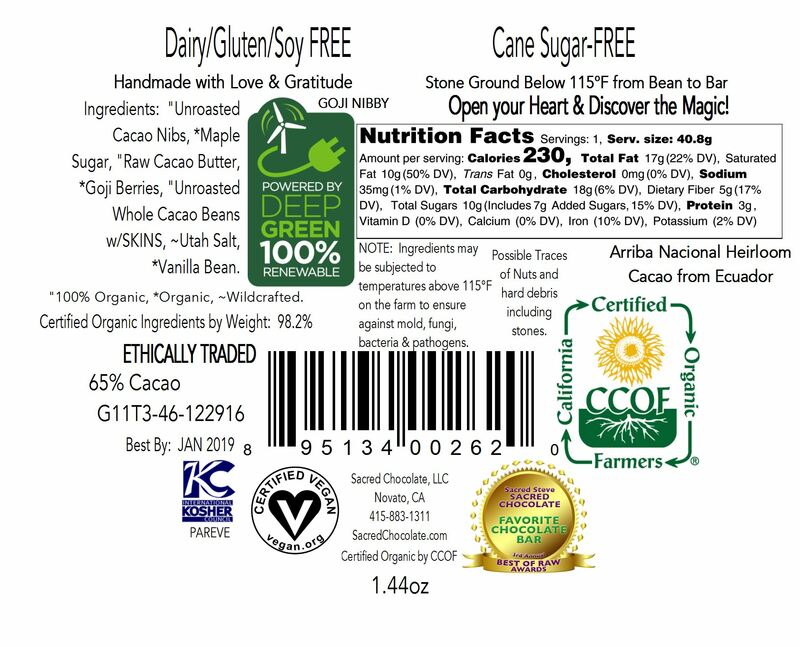 Goji Nibby has a 65% Cacao Content, and includes the skin/husk of the cacao bean for superior nutrition! Goji berries and raw chocolate make one of the most amazing flavor combinations recently discovered. Sacred Chocolate's Goji Nibby chocolate is slowly stone ground below 115 degrees Fahrenheit from bean to bar right in our custom chocolate factory in Marin County, California, which was designed from the ground up to make raw chocolate. 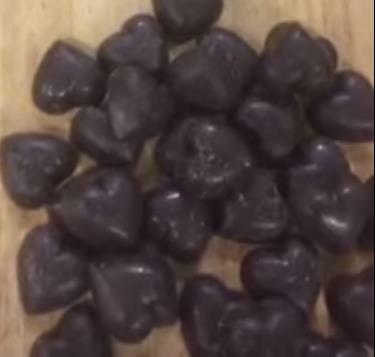 All Sacred Chocolate is prayed over by Sacred Steve, the Sacred Chocolate Oompa Loompas and others in order to elevate the vibration of the chocolate. "Unroasted Cacao Nibs, *Maple Sugar, "Raw Cacao Butter, *Goji Berries, "Unroasted Whole Cacao Beans with SKINS, *Vanilla Bean, ~Utah Salt.